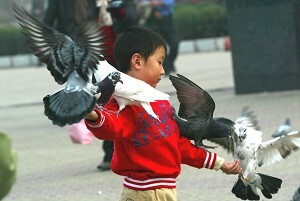 Bird flu was once again confirmed to be spreading in China. This is the fourth confirmation within three weeks. According to a report on November 4 from China News (www.chinanews.com), on October 26, a number of domestic fowls died in Tai Village, Badaohao Town, Heishan County, Liaoning Province. On November 1, the authorities in Liaoning Province issued a statement suspecting that these bird deaths could possibly be cases of bird flu. On November 3, it was confirmed by the National Bird Flu Reference Laboratory that the epidemic infection in these birds was indeed the H5N1 variant of the bird flu virus. This infection has impacted birds in six counties, and the number of dead hens has reached 8,940. Heishan County is located along the eastern Asia – Australia migratory route, and more than 20 magpies and other wild birds were found dead in this area. Analysis by experts suggests that the epidemic was probably caused by infected migratory birds. According to a report from the Yangtse Evening Post (yangtse.com), on October 24, the H5N1 variant of the bird flu virus spread inside a rare birds breeding farm in Tengjiaying Village, Bayan County in Hohehot city located in the Inner Mongolia Autonomous Region. 2,600 birds died of the infection. In Anhui Province, 550 birds died of the H5N1 variant in Liangying Village, Bianyi County, Tianchang City. Although currently there is no official Chinese report on cases of human infection by bird flu, on November 4, related authorities said that China is still facing a dangerous situation although the country has gained some initial result in dealing with the spreading of bird flu.